Relax in the sand and surf of Hawaii's Big Island with a luxurious timeshare unit at the Bay Club at Waikoloa Beach Resort. Find affordable timeshare resales and rentals at the resort online today. What’s My Bay Club at Waikoloa Beach Resort Timeshare Worth? The Kohala Coast is home to brilliant stretches of beaches, lush jungle trails, and a world of paradisal beauty—and you can call it your home-away-from-home with the luxurious suites at the Bay Club at Waikoloa Beach Resort. Set just a stone's throw from the pristine waters of Waiulua Bay, the Bay Club Waikoloa features expertly-maintained Hawaiian grounds with a variety of upscale on-site amenities designed to make your Hawaii vacations ones to remember. With two swimming pools on site and two beautiful golf courses located right next door, you'll have everything you need to get you into the Aloha spirit and celebrate you Hawaii trip in style. 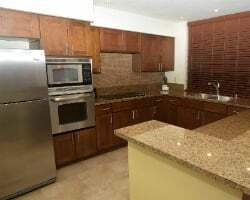 Accommodations at the resort range from one to two bedroom suites, accommodating groups of anywhere from two to eight. 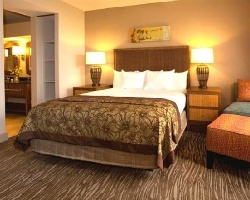 Perfect for beach bums, avid hikers, or anyone looking to simply relax, the units at the Bay Club will accommodate you. Featuring upscale in-unit amenities like full kitchens, private lanais, and even laundry machines, you'll have a veritable home-away-from-home at the Bay Club at Waikoloa Beach Resort. Are you ready to find the perfect Hawaii accommodations? 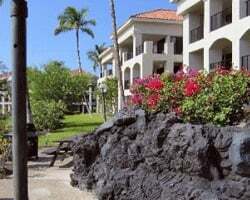 Consider purchasing a timeshare resale at the Bay Club at Waikoloa Beach Resort. Fill out the form on this page for more information, or call a representative at 1-877-815-4227 today. Buying a timeshare resale at the Bay Club can provide you with the same great vacation solutions as a traditional timeshare, but for thousands less. Through the timeshare resale market, units at the Bay Club Waikoloa Hawaii are offered by current owners, and not the resort itself. This makes prices extremely affordable, allowing vacationers like you to find the vacation ownership accommodations you want without breaking the budget. You can find timeshares at the Bay Club at prices up to 70% lower than retail costs. Resales at the resort often come in the form of deeded fixed weeks, floating weeks, and in Hilton Grand Vacations Club points. Timeshare resales are also spread throughout Hilton's Gold and Platinum seasons, offering a great deal of variety when you look to make a purchase. What's more, a timeshare resale at the Bay Club could lead to further vacation perks and bonuses with the Hilton Grand Vacations Club. The Bay Club at Waikoloa Beach Resort is affiliated with Hilton Grand Vacations Club, one of the most popular brands in the industry. While you won't be able to enroll in the club at the Elite level, you'll still be able to use your resale to enter the club and enjoy the most of the exclusive perks. For example, you can convert your unused HGVC points into HHonors rewards to redeem in-unit bonuses and extras. 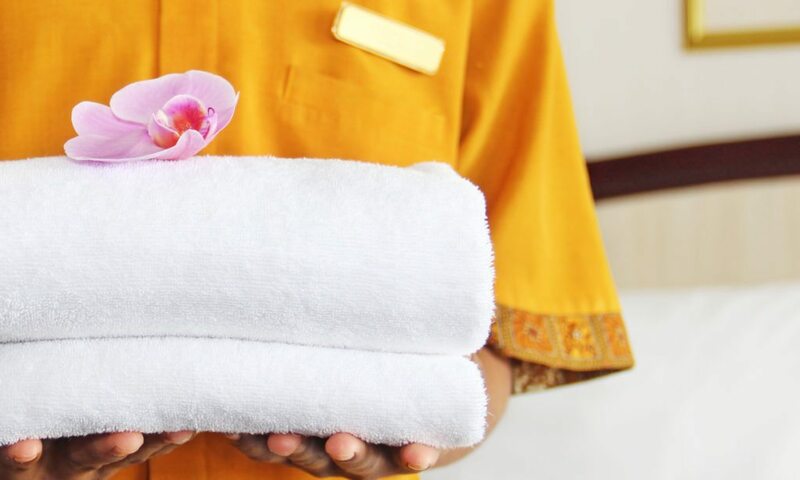 You can also bank or borrow your yearly allotment for more flexible vacation planning, or even create new and exciting getaways by booking units at other Hilton resorts. The Bay Club at Waikoloa Beach Resort is also affiliated with RCI, the world's largest timeshare exchange company. Exchanging your timeshare resale can allow you to get the most out of your ownership, as it opens up potential for you to travel the world. Simply deposit your accommodations into the RCI exchange network, and trade for stays at comparable resorts worldwide. Furthermore, the Bay Club is a Gold Crown rated resort, noting its excellent accommodations and unparalleled amenities. This will likely increase your trading power and open up higher rated resorts for you to exchange with. The Hilton Bay Club at Waikoloa Beach Resort employs a vast array of on-site amenities and services designed to make your stay more enjoyable. Guests will love taking in those Hawaiian rays at one of the resort's two swimming pools or lounging in the whirlpool spa. Those looking to stay on top of their fitness goals will appreciate the exercise facilities and tennis courts, while avid golfers who want to work on their short game can practice on the putting green. Outdoor barbecue areas dot the resort's grounds, and a poolside cafe and bar serves up delicious snacks and cocktails all day long. In the immediate area, you'll find quintessential Hawaii attractions all around you. Head down to Waikoloa Beach to take a dip in the warm Pacific waters, or venture further inland to trek the picture-perfect slopes of Mauna Kea. Venture out to Hawaii Volcanoes National Park for jaw-dropping photo ops, or discover Rainbow Falls to feast your eyes on a natural Hawaiian waterfall. 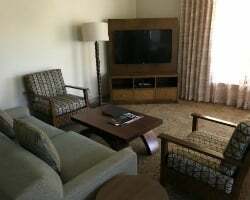 Already Own at The Bay Club at Waikoloa Beach Resort?